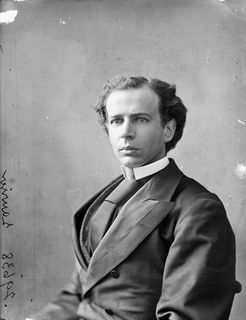 As soon as he arrived at the National Assembly, Laurier distinguished himself as a great orator. Despite the fact that he was a quiet man in general, he stood and spoke easily in public and his speeches were coherent and engaging. He addressed his peers with respect and treated them as equals. When he elaborated on issues, he never pointed out adversaries to insult them. He addressed his subjects based on his ideals and aimed for noble values. Laurier appealed to his audience’s emotions, but more importantly, to their intelligence. On June 26, 1877, Laurier participated in a conference on political liberalism in Quebec. It took him several days to prepare his lecture. He presented it at the Music Hall in at the Académie de musique de Québec in front of 2 000 people. This lecture immediately made him a national figure of importance in the country. He was acknowledged as the orator with the “silver tongue”, an epithet that would follow him for the rest of his life, according to historian Réal Bélanger. The aura acquired in Quebec of a great man with words would follow him to Ottawa. His first speech as a Member of Parliament in Ottawa dealt with the Louis Riel situation, a difficult and very delicate subject at that time. Laurier’s strength of mind and eloquence were mirrored in words steeped in common sense and the desire to present his values to the other members. On the subject of Laurier’s speeches, historian Raymond Tangle mentions that Laurier was an advocate of clemency, tolerance and peacemaking. This mastery of the spoken word assuredly allowed Laurier to remain at the head of the Liberal Party and in power for such a long time.